by Joshua Miller, , Ph.D.
Or, get it for 18000 Kobo Super Points! Disaster responders treat more than just the immediate emotional and psychological trauma of victims: they empower individuals and families to heal themselves long into a disaster's aftermath. This requires helping survivors to rebuild their ability to meet their emotional and psychological needs, not only for themselves but also for others, which necessitates a careful consideration of survivors' social, economic, and political realities as their communities heal and recover. This comprehensive book integrates Western mental health approaches and international models of psychosocial capacity building within a social ecology framework, providing practitioners and volunteers with a blueprint for individual, family, group, and community interventions. Joshua L. Miller focuses on a range of disasters at local, regional, national, and international levels. Global case studies explore the social, psychological, economic, political, and cultural issues affecting various reactions to disaster and illustrate the importance of drawing on local cultural practices to promote empowerment and resiliency. 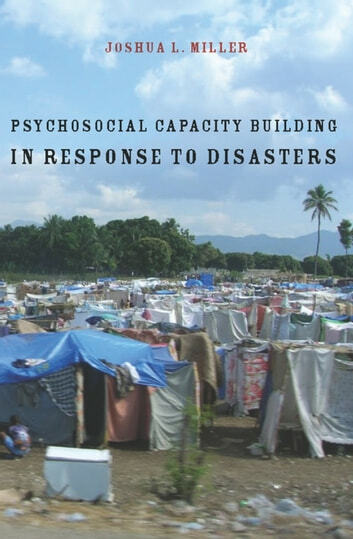 Miller encourages developing people's capacity to direct their own recovery, using a social ecology framework to conceptualize disasters and their consequences. 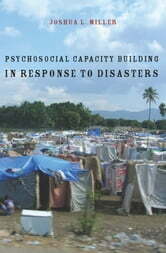 He also considers sources of vulnerability and how to support individual, family, and community resiliency; adapt and implement traditional disaster mental health interventions in different contexts; use groups and activities to facilitate recovery as part of a larger strategy of psychosocial capacity building; and foster collective grieving and memorializing. Miller's text examines the unique dynamics of intergroup conflict and the relationship between psychosocial healing, social justice, and peace and reconciliation. Each chapter ends with a mindfulness exercise, and a section reviews practitioner self-care. More By Joshua Miller, , Ph.D.